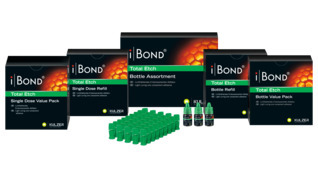 iBOND adhesives are the result of our many years of expertise in the development of bonding agents, providing you with the materials you need to create direct and indirect restorations. Simple, safe and scientifically proven. "All-in-one" iBOND® Self Etch – The light-curing, self-etching, All-in-One adhesive. 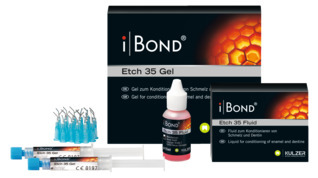 "Etch & Rinse 2-step": iBOND® Total Etch is the light-curing Etch & Rinse (2-step) bonding system. 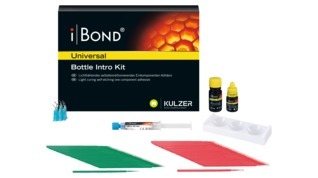 NEW: iBOND Universal, the universal, light-curing adhesive for any bonding technique and all indications. We make accurate bonding your speciality. 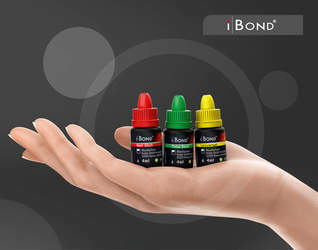 With iBOND®, we offer you top-quality adhesives - with equally reliable adhesion to enamel and dentine and exceptional marginal quality. We also offer you the ideal complement with iBOND® Etch. The etchant is based on orthophosphoric acid and is available as a gel or a fluid. It is used to etch enamel and condition dentine in adhesive filling therapy. You have the choice, we have the right adhesive! The etchant iBOND Etch, based on orthophosphoric acid, is available as a gel or a fluid. It is used to etch enamel and condition dentine in adhesive filling therapy. 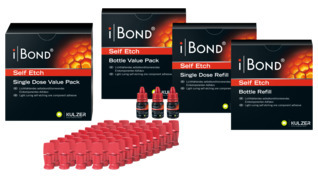 iBOND® Self Etch – Bonding with confidence. iBOND Self Etch is the light-curing, self-etching, all-in-one adhesive. You perform etching, priming, bonding and desensitization in only one step! iBOND® Total Etch – Bonding with confidence. iBOND Total Etch is the light curing Etch&Rinse (2-Step) bonding system. It shows how easy and convenient bonding it is to work with the proven Total Etch technique. iBOND® Universal – All-purpose convenience. iBOND Universal is the universal, light-curing adhesive for any bonding technique and all indications. Being compatible with all dental materials, it is our all-rounder for reliable bond strength.